$1.75 plus tax per ticket processing fee applies with online purchase. Held seating must be claimed by at least one member of your party no later than 20 minutes before the show, otherwise seating may be released. Held seats may not be changed after they've been assigned. There's no held seating for special shows. Seating for special shows is first come, first serve. Our Box Office opens one hour before the show. Tickets for that night's show may be purchased at that time based on availability. Select 'Purchase '/ 'Reserve with promotional voucher/offer' from the drop down Ticket Options menu. Enter the quantity of vouchers/offers to be be redeemed. We mean it. Discretion is strongly advised. Be sure to inform everyone in your party. Shows change every week and feature 3 comedians. They run from 90 minutes up to two hours. This tab is located below the calendar. Click on this tab for the list of upcoming special shows. Tickets for special shows may either be purchased in advance, or on the night of the show, based on availability. Click on this list's show date to purchase tickets. 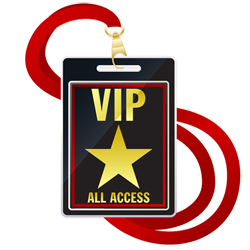 Promotional vouchers, offers and certificates are not valid for special shows. This tab is located below the Calendar. Click on this tab to view the month's lineup of comedians at a glance. Click on this list's show dates and show times for tickets. Dining as well as full bar service is available starting at 6 pm when our doors open. Full food and drink menus are also available prior to and throughout our late shows. Our menu is full of great options: from amazing sandwiches with sides, to creole chicken on rice; build your own poutine, and much more. There's something for everyone! See the "Food & Drinks Menus" tab to view full menu. HAVE A GROUP COMING FOR DINNER BEFORE THE SHOW? Be sure to make dinner reservations in advance. Show times may change on occasion so check the times on our Show Calendar. at the most accessible table.